There will come a day when we must explain to young people why there are so many businesses that start their names with a series of "A"s, such as AAA Pest Control or Aardvark Window Tinting. Well, it all gets back to those days of yore before the Internet and Google. 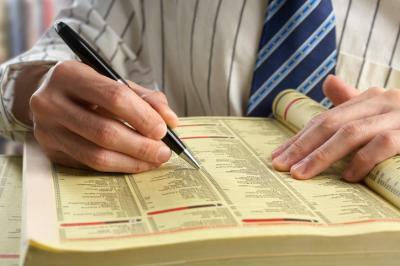 Back then there was a paper thing known as the yellow pages and people would flip through it to find a business. These were organized in alphabetical order and it became known that some of us were too lazy to call anyone past the letter "A," apparently. Things have changed a lot since then and many banks too have shifted from an old style, simplistic asset liability management (ALM) system to one that at least can handle prepayments and calculates risk using the bank's loan and securities detail vs. blunt call report categories. Over the years, regulators have slowly ratcheted up their concerns about banks using inadequate tools (such as those based on call report data) and capability reviews within the context of bank business complexity are common. Certainly most any company can produce a report, but it takes more than that to get something the bank can leverage to not only protect against rate risk but also make money. At a baseline level, it doesn't really matter much whether you run your ALM model yourself or you outsource it, as long as the results are understood. Given the significant complexity of modeling something as difficult as ALM, care must be taken however. In either case, bank management teams should understand what is being discussed, how it was modeled, the key assumptions and where the weaknesses are in such a process. If you decide to outsource your ALM process, here are some tips we have compiled to help you. First, simply ask the vendor whether the system they are showing you uses instrument level data or is based on the call report with certain assumptions. If the answer is the call report, we strongly suggest you move on. Call report ALM systems are simply too blunt. They do a poor job with prepayments (in about every loan and security) for just one example and are about as blunt a tool as there is. Further, they often produce results that are way off reality, which can add unacceptable risk to the bank. Second, understand that things continue to change and one thing that is definitely changing and that will be significant for community bankers is dealing with the current expected credit loss (CECL) model for loan loss reserves. CECL requires instrument level inputs, so banks will have to make the switch anyway or may end up paying quite a bit more to handle both. Now that you have narrowed your options down to instrument level vendors, there are some key things you should get in your reports. These include such things as multi-level reports to facilitate review of results with directors and management; detail geared towards regulatory review; executive overview; the basic reports covering impact to net income, net interest income and economic value of equity; special reports covering individual scenario results and summaries; details explaining the model configuration; back-testing vs. projections; evaluation of data and input reasonableness and usability; and direct assistance from experienced vendor staff to help you reach your goals. Although it is not always easy to find a competent vendor for your ALM, it is critical these days. Since we offer just such a solution, we hope you will consider us as you review ALM models. In the meantime, we hope at least we have made it a bit easier for you and your bank to get AAA service. Yields soared 10bp, driven by Fed Chair Yellen's supportive comments on the health of the economy and the most inflationary CPI data in 2.5Ys. The Department of Justice stated Deutsche Bank has agreed to pay $7.2B for misleading investors in its sale of residential mortgage backed securities prior to the crisis. This is the largest RMBS resolution for conduct of a single entity. A survey by the National Small Business Association (NSBA) finds small businesses spend $83,019 on average to stay compliant with regulations in their first year of operation. Business owners said they also spend an average of $12,000 per year on direct and indirect regulatory costs. 1) AIMBank ($831mm, TX) will acquire Muleshoe State Bank ($109mm, TX) for an undisclosed sum. Bank of America's CEO said in a recent speech that stronger economic growth and higher interest rates have had a positive impact on the Bank. He also said the Bank's good performance in Q4 was driven by lower expenses, stabilized revenues and a better job with clients and customers. Credit rating agency Moody's will pay $864mm to settle DOJ and state charges it improperly rated risky mortgage securities prior to the crisis. PwC research finds that 51% of surveyed directors say their board or committee did not make any changes in response to the results of its last board or committee self-evaluation process. Deloitte research finds 30% of full time employees do most of their work somewhere other than the employer's location.